Before getting into more details about this phone, I should start by letting you know that Xperia Z Ultra is bigger than common smartphones today, but it’s smaller than tablets. In such cases, the border between tablets and smartphones gets blurred and the consumer can’t really decide in which category it fits. Some folks like to call these types of smartphones “Phablets”, because they embody the features of a smartphone with the size of a tablet. 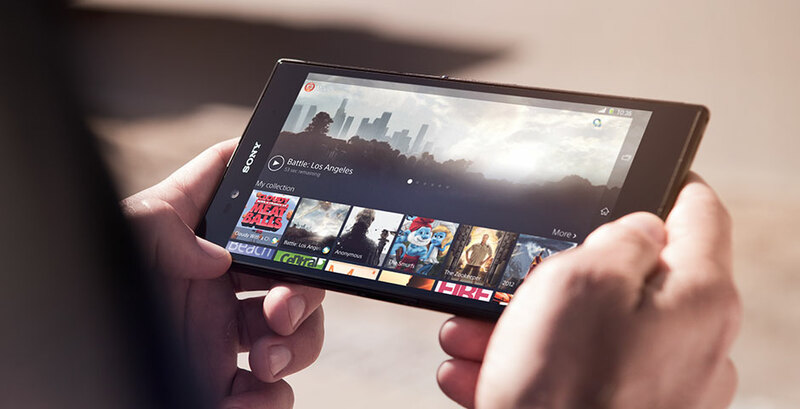 In the beginning of 2013, Sony had a marketing plan of creating the best smartphone on the market. In that regard, they have implemented many cool features in their flagship device, Sony Xperia Z, such as water and dust resistance. In Z Ultra, we find the same features, but Sony added more computational power to the device. The gadget has a 6.4 inch screen, a full HD display allowing a resolution of 1080p and a pixel density of 344 ppi. “The brain” of this device is a quad-core Snapdragon 800 processor clocked at 2.2 Ghz, making it one of the fastest smartphones ever made​​. The phone can be operated with a pencil or a capacitive stylus. As an extra feature, in this phone is implemented Sony’s Triluminous technology, which projects vivid colors on the display. OptiContrast and X-Reality technologies are also included. As far as the camera, Z Ultra suffers a minor downgrade compared to the camera found on Xperia Z, because the gadget has an 8 MP main camera, no flash, and another 2MP secondary. Fur such a powerful phone, I was expecting at least 12 MP camera. The smartphone also features 4G, NFC, Bluetooth, Wi-Fi, radio and micro SD slot (to expand the 16GB default memory). The operating system of the phone is Android 4.2.2, and it will be available in three colors: white, black and purple. Folks at Sony have not released a price for their new smartphone.